A retrospective of fifteen years, this book brings together, for the first time, Oliva Esp's previously published articles and conference papers. Together, these writings reveal the complexity and encompassing quality of Esp's most significant contributions to the contemporary debates within psychology. 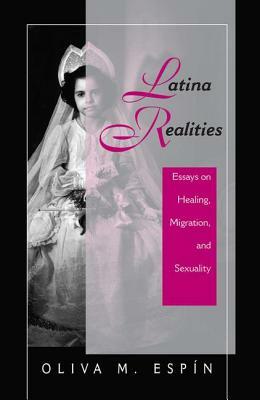 Topics include sexuality, therapy with Latinas and other women of color, immigrant and refugee women, ethnic minority and immigrant women of diverse sexual orientations, and theoretical perspectives on feminist psychology and diversity.Primarily focusing on the experiences of Latina women, gleaned from psychotherapy practice and research, the book presents discussions on experience as a source of theory and method in psychology; issues relevant to immigrant women and girls, such as sexuality and language; and other similar topics.Latina Realities is bound to be a valuable text for advanced courses exploring diversity in psychology and women's lives as well as a useful supplementary reading for introductory courses in psychology of women, women's studies, cultural psychology, and other gender or ethnic issues courses.